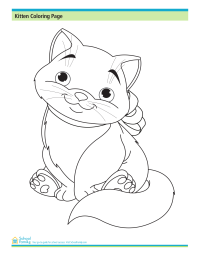 A kitten with a bow is ready for coloring on this sheet. 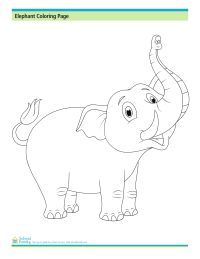 Have fun with this coloring page of a young elephant. 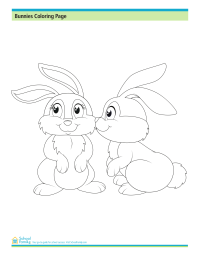 Two adorable bunnies are ready to be colored in on this sheet. 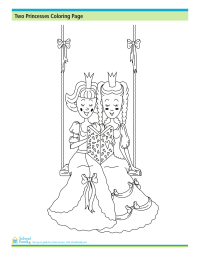 These princesses are friends, or maybe even sisters, and share a book with each other. Will the frog turn into a prince? 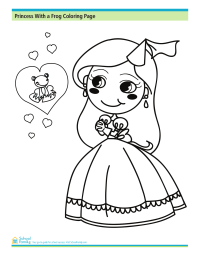 Enjoy coloring this page and use your imagination to decide!